In the current trade dispute between China and the USA, President Donald Trump has tried to avoid tariffs that would hit the common American consumer in the wallet. This was shown during the measures in January to March 2018, where the government took high care to exclude most of the consumer electronics in increased tariffs on Chinese commodities. However, in early April, Trump ordered more taxes on Chinese goods worth USD100 billion. With the newly announced tariffs in this high financial dimension, it becomes unavoidable that the common US consumers will be affected by price rises. Especially new tariffs on consumer electronic devices would hit the domestic American market hard. More notably, there are hardly any alternative sources of supply for many electronic products from China. The USA exported more than USD12 billion worth of soybeans to China last year alone. The agricultural sector is one of the US sectors where the Beijing government is threatened with retaliation if Trump levies additional duties in addition to steel and aluminium. That could be tough on the people in the rural areas like states as North Dakota, Kansas and Iowa. In some of them, polls see a narrow voting behaviour that could slip Republican Senate and House of Representatives. If the Democrats win one of the two chambers, they could block large parts of Trump's program. The China-US trade war is heating up, but both sides have not yet implemented any substantial actions on tariff levying. The USA extends the Tax Day to May 22. However, the tariff lists issued by the two have aroused great attention from all walks of life, and the agrochemical industry is no exception. CCM believes that the trade war means challenges and opportunities for China’s agrochemical industry. Domestic pesticide formulation business of agrochemical enterprises such as Zhejiang Wynca and Hubei Sanonda will get benefited if China starts levying tariffs on American products. In the meantime, some will be negatively affected such as Lier Chemical and Shandong Weifang because they mainly supply pesticides into the USA. China-US trade war spurs agricultural produce prices, which is good news for the agrochemical market. China is the major agricultural produce importer from the US. On 4 April, the MOC announced that it has decided to impose an additional tariff of 25% on agricultural produce including soybean, corn and sorghum imported from the US. This is expected to benefit pesticide formulation enterprises. Affected by rising raw material cost or dropping export, industry reform and layout may be accelerated for the long run. Notably, pesticides with large export amount into the US attract attention, namely glyphosate, glufosinate-ammonium, clethodim and atrazine. Although these products are not on the tariff list, they will be indirectly affected in a way. In addition, some pesticide raw materials, pesticide formulations and some insecticides will be levied an additional tariff, which may leave some markets to other products. America’s elites surely have the big picture of the trade dispute in mind. After all, it's not about a few tariffs, not even about intellectual property, which they have long since given away in the interests of their own profits. I might be more about the supremacy in the world. China has become big and the ruling circles on Wall Street have long thought they could conquer China with their capital, just as they did everywhere after the Second World War and after the end of the Bretton Woods system. This path does not seem to work in the case of China. Trump's move may be the last attempt in that direction, but it does not say much that he succeeds. China will probably make some concessions, but nothing more. It certainly will not open its borders to unhindered capital movements. It may be possible to establish a kind of coexistence, in that both sides to a certain extent establish a reasonably fair trade. Stay updated on the effects of the US-China trade dispute to be the first one to react to market changes and be the leader, not a follower. 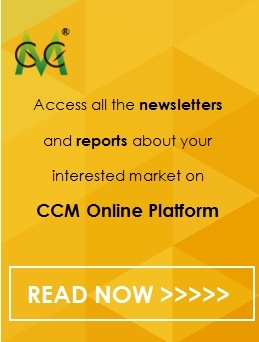 Have a look at CCM’s monthly published reports about China’s agricultural and agrochemicals market.